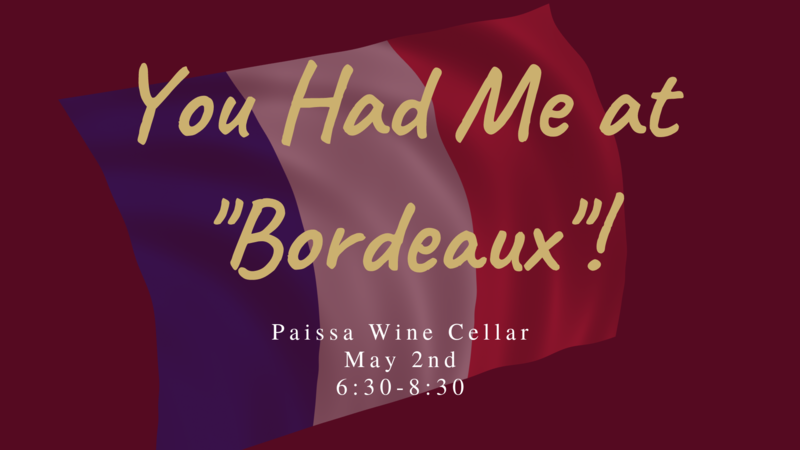 If you have never been to Bordeaux, save your flight money and join us for an evening of sampling the taste of the Bordelais. 5 wines introduced by Certified Sommelier, Michael Cregar. 5 course dinner prepared by Chef Daniel Martinez. (Menu to be announced) Live music performed by The Human State. It is an event you will not want to miss!